Arrick's Propane is a family owned and operated propane provider. We have served Southern Ohio and Northern Kentucky for over 60 years. At Arrick's Propane we believe that it is our dedication to providing the best possible service and our loyalty to our customers that sets us apart from our competitors. Choose Arrick's Propane and let us show you quality and dependable service. 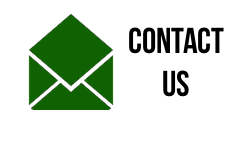 If you have any questions or comments, feel free to give us a call or contact us below. We look forward to adding your name to our growing group of satisfied consumers.